With the advancement of technologies and rapid improvement in building materials to keep up with the pace of urbanisation, the construction methods and technologies have been facing challenges due to unsustainable aspects of some building materials. This has put stress on the environment and has also increased consumption of energy and other degradable resources. On the hindsight, this has also created opportunities for innovative and unconventional resources to emerge by reinventing the traditional building materials and using it in an intelligent way. Surfaces Reporter delves into the benefits of using local materials in building construction. What is a local material? Despite all the obvious benefits, the use of local materials in projects has been limited. High-tech materials and advanced technologies like 3D printing, double skinned walls, etc. almost always seem to dominate the conversation - at least in architectural circles. Low-tech materials like lumber, stone and brick, on the other hand, are often overlooked, even though the use of local and locally produced materials offers the lowest possible carbon footprint. Locally produced materials are often sought because they match a local design aesthetic and can be more durable in the local climate. However, choosing local materials also supports local economies and reduces the environmental impacts of transportation. 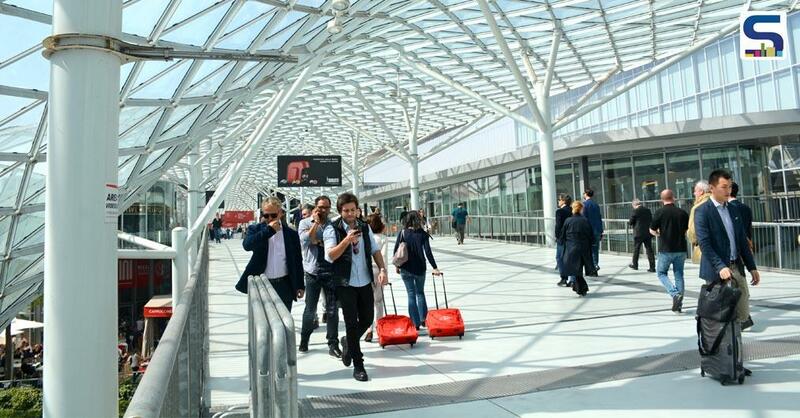 What’s more, the building integrates with the local culture and becomes one with the place. Considered to be the Master Architect of Cost Effective Housing & Earthquake Structural Engineering of our nation, Lt. Ar. Anil Laul has contributed in the architectural field in many ways. His research works on constructional technologies has led to groundbreaking innovations and evolvement of unique construction technologies. Laul invented the Ram Lochan Tiles and advocated on the use of Hollow Interlocking Blocks as they counterbalanced Differential Settlement of Structure. He was also the proponent of A-frame which forms the most basic structure for Cyclone, Hurricane & Earthquake Resistant Structures if Cross- bracing is provided in addition. Some of his famous projects include Vedaville, Jaunapur Resettlement, Bhoomiheen Camp, Bharatyamgram, and his own Résidence at Anangpur, Sanand Housing in Ahmedabad, Mukhteshwar, Arriyadh Housing, etc. His designs are climate responsive which leads to consumption of less energy. He also recommended the use of recycled waste in construction. One of the most interesting facts is that he believed in women empowerment and employed many women in his projects. Surfaces Reporter salutes the work & spirit of Lt. Ar. Anil Laul, the visionary man, responsible architect and the sustainable builder! Ar. 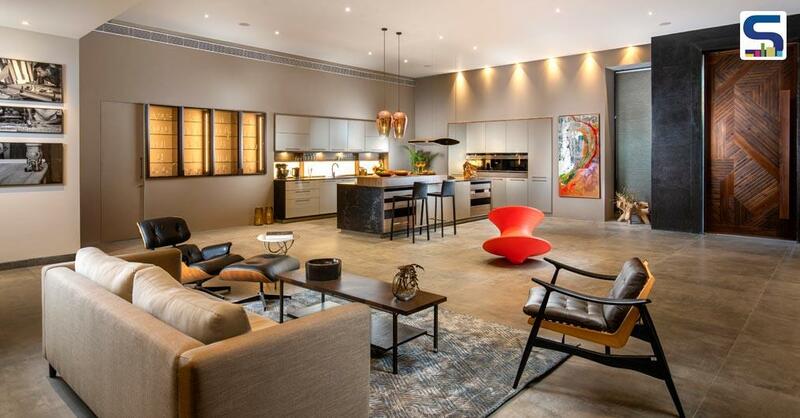 Raj Rewal is famous for his designing abilities of traditional architecture in a modern way. For the revival of the old form of traditional craftsmanship, he introduced the traditional craftsman to new tools and techniques. His signature projects are designed by mixing regionalism with modern typology. He also intends to imbibe these design principles among the next generation of architects and thus was also involved in the academia. Rewal taught the history of architecture at the School of Planning and Architecture, New Delhi, while simultaneously travelling around the country studying local ‘constructed landscapes’ like Jaisalmer and Fatehpur Sikri. 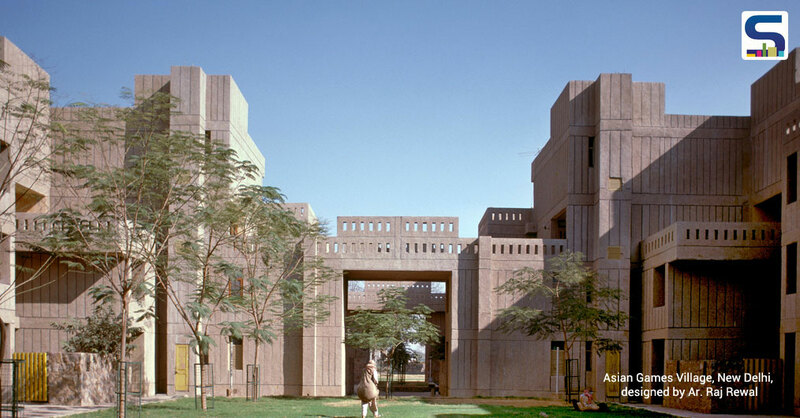 Rewal is particularly known for his projects like Parliament Library – situated next to the Parliament House in New Delhi and Visual Arts Institutional Campus, Rohtak – which draws inspiration from the old techniques of Nalanda and Taxila. “In order to meet the rising standards of living and building requirements, we have to innovate, think in new directions. 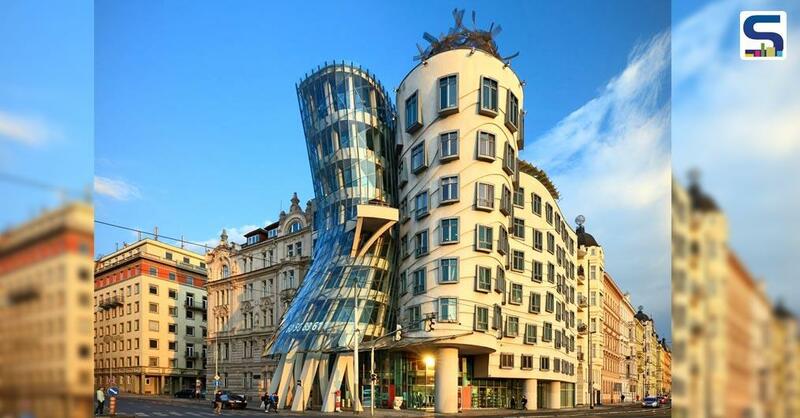 The paradigms of building design have to shift. In our new projects we are harnessing solar energy in a big way and integrating it as a design element in the buildings,” opined Rewal. Well-known for her mud architecture, the Delhi-based architect Revati Kamath pioneered the use of a material normally relegated to India’s most impoverished communities to build luxurious structures, including a resort in Rajasthan and the Tower House in South Delhi. She says mud is extremely malleable and offers better insulation than concrete structures, it decentralizes the construction process because it utilizes local material, obviating the need for a contractor. Besides mud, she also experiments with the use of bamboo in her projects. 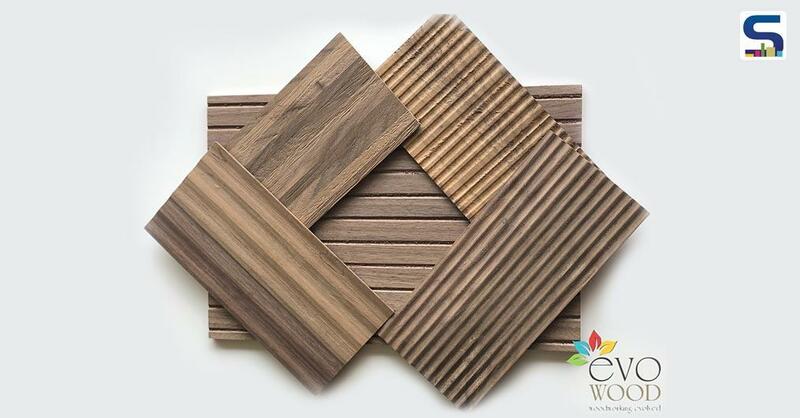 Kamath has been at the forefront of ecologically and socially sustainable design in India for the last few decades. She uses sustainable materials and construction techniques to evolve architecture that is a contemporary integration of the indigenous, modern and post-modern. Her projects range from the explorations of earth as a modern material to the sustainable planning of industrial townships in culturally and ecologically sensitive contexts. 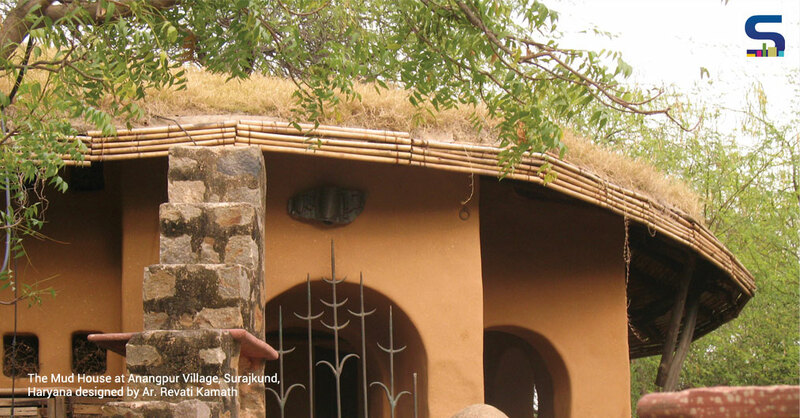 Her own house in Anangpur village in Haryana is built around these design principles using mud. She has constructed her house through a rearrangement of natural materials found on the site and its surroundings, with a minimal and judicious use of non-renewable, non-biodegradable and fossil resources, such as metals, stone, plastics and cement. She is of the opinion that sustainability should be at the core of architecture and students should be encouraged to experiment with local and alternate material and not limit themselves to concrete and cement. However, responsible design is taught to the architectural students as an optional paper, rues Kamath. Among India’s most respected architects, Ashok B. Lall has been a pioneer in formally integrating sustainability into his architectural works. Some of his well-known works include the Master Plan and Tissue Culture Pilot Plant for TATA Energy Research Institute Campus, Gurgaon; the Master Plan and Campus Development for the Indian Institute of Health Management Research, Jaipur; and the Transport Corporation of India Headquarters, New Delhi. The Development Alternatives World Headquarters project in New Delhi is another of his project which excels in sustainability quotient by using local materials. Perhaps, his even bigger contributions are in the academia. He has been a devoted academician and served as Dean of Studies at the TVB School of Habitat Studies. He also teaches at Guru Gobind Singh Indraprastha University besides being involved in various committees in architectural colleges in India. He is also actively involved in the development of the architectural curricula for the Indian context and encourages the students to adopt sustainable practices. Lall feels that applying the knowledge of materials and engineering to low processes is the often overlooked component of building a sustainable structure. Bangalore-based architect Neelam Manjunath is another proponent of using local materials in projects. The Principal Architect of Manasarm Architects has pioneered in using one of the most versatile yet abundantly available materials, the Bamboo. Besides the increase of green quotient of the structure, the use of bamboo also brings down the cost of project by 40%, opined Manjunath. She uses bamboo in walls, beams, columns, doors, windows, thatched roof, railings, grills, pergolas, fencing, bridging, staircase, boundary wall and furniture. “In my buildings I try to be sympathetic to the immediate environment in terms of climate, statement of the building forms, local and green building materials etc. 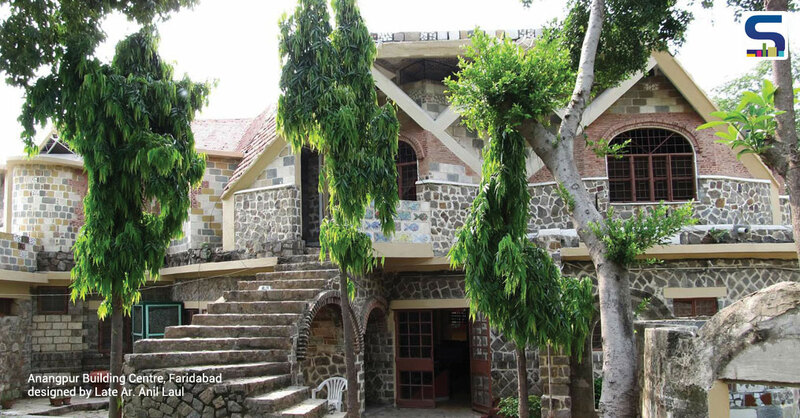 I believe that a building is a living entity that it has to have a spirit and it should be felt like a living entity by the occupants; forever changing with the seasons,” says Manjunath. Some of her best works include Bamboo Symphony, House of Five Elements and Police Bhavan for KSRP. Manjunath specialises in using concrete with bamboo fibres, instead of the usual plastic fibres, as an additive for better bonding with concrete. However, the promotion of bamboo doesn’t stop at understanding its benefits and using it in her projects. She is actively involved in various committees and promotes the material and even offers bamboo application courses through distance education. “We are imparting knowledge through PG Diploma and certification courses which is recognized by the Dayalbagh University, Agra, through distance education mode. After completing successful pilot workshops and seminar exhibition on ‘Bamboo Integrated Development’ we started BAT classes from July 2011. We formed an advisory council for our course. We certify people at different level of construction workforce including masons, carpenters, supervisors and designers,” adds Manjunath. She is also heading Centre for Green Building Materials & Technology. While these common traditional local materials may seem boring to some, with a bit of imagination and technical skill, an architect can transform these materials into something fresh. Simply creating a structure using locally available materials doesn’t make it innovative – we certainly can’t go back to the previous era! Neither does use of high-tech materials empowered with modern technologies – it may only make it flashy and expensive! What really and truly can be termed as innovation is the mixture of both – a fusion of locally available materials with intelligent modern building technologies to further harnesses the benefits of reducing cost while making it energy efficient. Surfaces Reporter brings to you some relevant projects done in India that highlight the usage of local materials in an innovative and functional way.